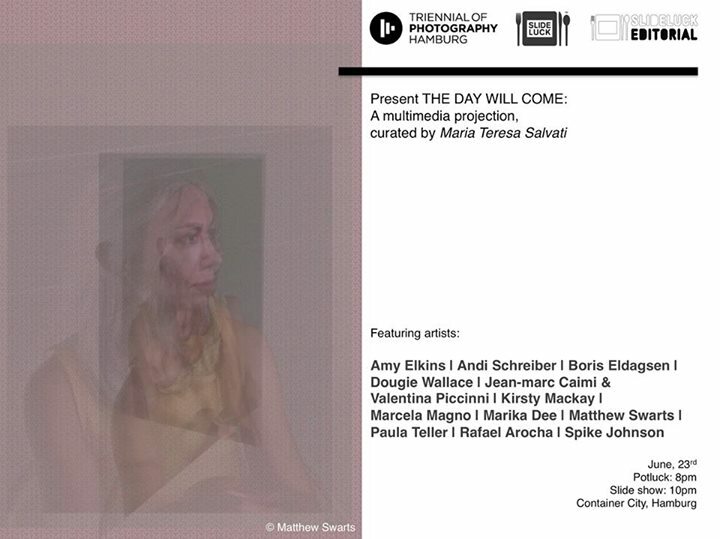 Slideluck is coming at the Triennial of Photography Hamburg opening week! Join us for a special edition of ‚Slideluck Goes to Hamburg‘ Tuesday 23rd June! The best photographic works that respond to the theme of THE DAY WILL COME will be selected from the Slideluck global archive by Slideluck European Director Maria Teresa Salvati. Potluck starts at 8 pm and the projection at 10 pm. This event is done in partnership with Slideluck Editorial.